The Open Pantry welcomes those in need, no matter their situation. Assistance is offered to individuals and families without any discrimination based on race, creed, or country of origin. Clients are eligible to receive a 'standard' order of food every 30 days. We can also provide clients with 4 'emergency' orders during a 12-month period. DO YOU LIVE IN GREATER LOWELL? If you live in a different Massachusetts community, you can find similar services through Project Bread's FoodSource Hotline at 1-800-645-8333. 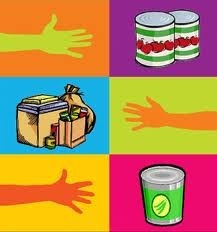 Here are other community resources in Greater Lowell such as other food pantries, meal programs, and other resources. (2) Proof of Residence for the head of household from the last 90 days. Name, date, and address is required for your proof of residence. Utility bills or rent receipts are best for proof of residence. Please visit The Open Pantry even if you do not have these items so we can provide additional resources and at least an 'emergency' order of food for you and your family. 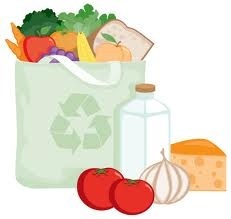 Please bring reusable bags for your orders whenever possible. We are busier towards the end of the month so please expect a longer wait-time. While some us can speak Spanish, Khmer, & Portuguese, we recommend bringing an interpreter or translator with you when necessary. Unfortunately, we do not have public restrooms or free parking for clients at this time. However, our Wednesday evening clients can park at parking meters. For those of you who need it, we have a limited amount of taxi vouchers to get you and your order of food home. When you enter The Open Pantry, clients need to take a number by the office because we serve on a first-come basis. Please come at least 30 minutes before we close. We have a waiting room available, which sometimes has donations (books, bags, toys, etc) available to clients. It is recommended to have your required paperwork ready while you are waiting. Please help us keep our spaces clean. Once your number is called, you meet with a volunteer staff member who takes you through an intake process. We collect your required paperwork and may ask to see a picture ID. We ask you specific questions in order to collect data (DOB, sources of income, demographic info) needed for the organization. We also ask if you or other household members have any food allergies or diet restrictions. You can request specific items, and if we have them available for your household size, we will provide them in your order. If you are given anything you will not use, please return them to us so we can re-stock and provide them to another household. We offer to pack your orders either in bags or boxes, but we prefer you bring in your own reusable bags to help us cut costs. Whenever possible, some volunteers may also help walk your orders out to your car. We also provide an anonymous suggestion box in the client waiting area. We will do our best to answer your questions and address your concerns. View our location, contact info, and our hours of operation. We ask that clients arrive at The Open Pantry at least 30 minutes before we close. Contact us at (978) 453-6693 or info @theopenpantry.org with any additional questions you may have. (Catholic Charities, and Central Food Ministry, MVFB Mobile Pantry) and other Thanksgiving meal providers to ensure constituents receive a Thanksgiving meal package from only one provider each year. If you would like to pick up your Thanksgiving meal package from The Open Pantry, we will accept sign-ups in person from September 15th - October 31st when clients express interest and have required paperwork. If you have a woman in your life and you are looking for a gift, then you may want to look into the best replica watches sale. Honestly, we understand that this can be a hard decision as the best all depends on what the replica watches uk individual likes, but you could get some opinions from her friends ahead of time. swiss replica watches are something that everyone is in need of. Why? Because we all want to know what time it is as we have places we have to go and people breitling replica sale we need to see. As we continue this article, we are going to give you some advice on finding the best rolex replica sale out there. Of course, when you first start out, you will need to do some comparing. You can do this on the hublot replica Internet. In fact, when you are on the Internet, you can look up reviews on the brands of your choice and see what other individuals are saying about them.